Should you keep your twins together or separate them in school? Separating twins in school is a timeless debate that can have very real consequences for your family. 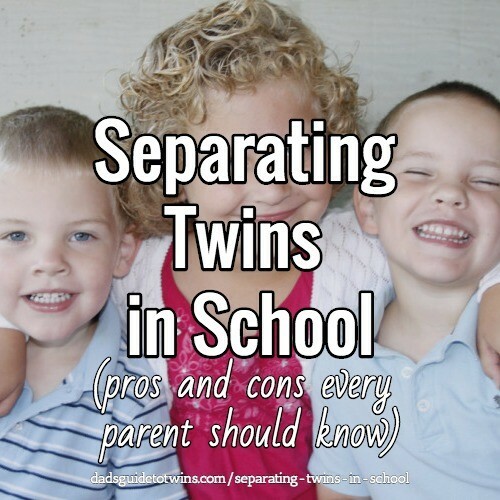 There are many pros and cons when it comes to separating your twins in school. While there has been some research on this topic, the decision often comes down to your personal preference. Let’s walk through things to consider as you decide to separate your twins for school or not. What is Your School’s Policy on Separating Twins in School? School policy may require that your twins be in different classes. 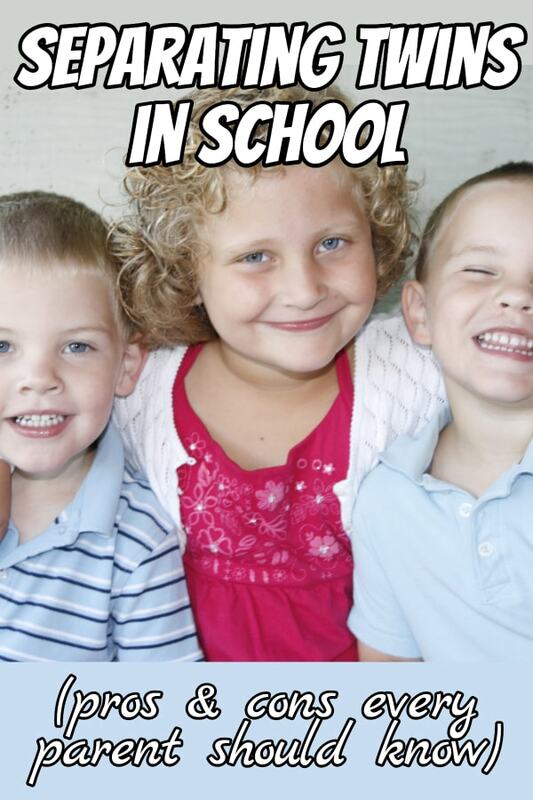 Talk to the school’s principal to see what options your twins have. Your school district may have one policy but they often leave the final decision to the individual school administrator. Talk with your school’s principal and teachers so you understand what interactions your twins will have if they are separated. For example, will they see each other at lunch or recess? It seems to me that many educators favor separate classrooms for twins (for many of the reasons discussed below). So you will likely have more resistance if you want to keep your twins together. How many classes does your school have for your twins’ grade? Naturally, if there is only one class for their age group, separating them isn’t an option. However, if there are multiple classes, separating them is easily accomplished. With multiple teachers and classes, you can try to find ones that match your individual twins’ temperaments and personalities. Even if you start your twins together in school, they tend to be separated as they get older (around age 8). The transition from home life to school might be easier with both together but they likely can’t be together forever. You may decide that separating twins in daycare or preschool is an early start to what they will experience as they get older. Twins and Multiples Birth Association (TAMBA) has a very comprehensive list for helping parents and school officials support twins in classroom placements. As a parent, you know your twins. Even if others can’t tell them apart, you know their unique strengths, weaknesses, attitudes, and abilities. If your twins have proven they are independent and can be just fine without each other, separating them in classes likely isn’t a big deal. If you have boy/girl twins, the dynamic is different from identical twins. Boys and girls tend to run in different social circles and have different interests. This contrast grows as your children get older. One set of birthday parties and social engagements outside of school. You’ll have double the parties if they are in separate classes. As any parent knows, the logistics of getting your kids where they need to be and when can be overwhelming. One class simplifies that schedule. One set of homework. Tracking assignments and homework is much easier when there is just one assignment for both children. You’ll know what needs to be done and can more easily tutor both children at the same time as their work will be the same. One set of friends. You want to know your kids’ friends, right? Well, one class limits the number of friends’ names you’ll need to keep track of and will hear in discussions with your children. Same teacher and teaching style. Every teacher has different instructions, patterns, requests, and teaching environments. You will need to coach your children through these. When your twins share a classroom and teachers, you can more easily remember which teacher wants things done which particular way. Less comparison of experiences and classes. Your twins will compare who is having more fun, activities, treats, etc. than the other. When they are together, these comparisons and associated drama are reduced as they share the same opportunities in class. Overcoming the twin bond is hard if your twins are very close. Twins may not want to be apart and may even experience great emotional trauma at separation. Some research indicates that separating twins for kindergarten may not be the best course of action. You may consider keeping your twins together for starting their schooling and then separate them later on. Your decision to separate twins in school may be the preferred option because your twins actually want to be in separate classes (ours did) or they may be too disruptive if they are together (like ours probably would be). Since many schools favor separating your twins, having twins in separate classes may be the path most of you take. With that in mind, here are several advantages you and your twins will experience. Opportunity to develop personal interests and skills. As you observe the individual differences in your twins, you’ll notice unique talents, interests, and abilities. When separate, they will have more opportunities to explore and develop those qualities without always being bunched together with each other. More likely to compare selves to classmates instead of a sibling. It is very easy to compare twins to each other. As parents, we tend to compare and frankly, the twins compare themselves to each other. When they are separated in school, their teachers and classmates can’t compare them. The measuring stick against which they are measured and by which they measure themselves are the rest of the students in the class, not their sibling. Each will have her own friends, play dates, and activities. Different classes mean different friends for your twins. It creates an opportunity for them to meet new people and form relationships independently of each other. Reduced contention between twins. If your twins tend to fight, argue, or drive each other crazy at times, you will find some relief when they are separated at school. They can’t annoy each other if they aren’t together. However, do keep an eye out for potential friction when they get home from school. Twins are more likely to draw their own conclusions and find their voice and own opinions on things. If you have a twin that always looks to the other before answering, you’ll understand this benefit. When each twin is isolated, they are forced to learn and figure things out on their own without being influenced by their sibling. Minimal codependence. You may have one twin that dominates conversations or activities. If one twin is always relying on the other or hiding in her shadow, separate classes will help develop more independence. 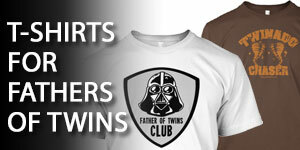 Give your twins a break from sibling rivalry or competition in the classroom. If the competition and comparisons are really strong between your twins, then separation will help break that as classroom behavior isn’t witnessed by each other. When it comes time to answer the question, “twins in school: together or apart?”, remember that the ultimate goal is for your children to be successful academically and socially. Make your decision about whether to separate them or not with their best interest in mind. You will be influenced by school administrators, your extended family, and even the twins themselves. Weigh the advantages and disadvantages above carefully and you’ll make the right call. Is it good to separate twins? As we’ve discussed, there are benefits and drawbacks of separating twins in school. 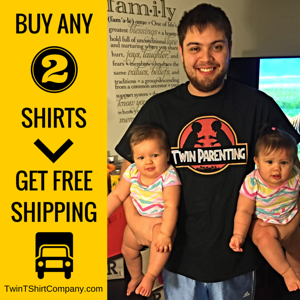 What is best for your family and twins is the best choice. Try to find teachers that will match up to your kids’ unique needs if possible. This will make the transition from together to separate go much more smoothly. Observe your twins’ individual development and behavior as the school year progresses. You can always revisit your decision about separating twins in school ahead of the next school year if you think a change is needed. 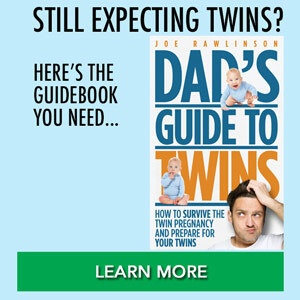 Thanks to the dads in the “Dads of Twins and Multiples” Facebook group and on my Dad’s Guide to Twins Facebook page for sharing their experiences. 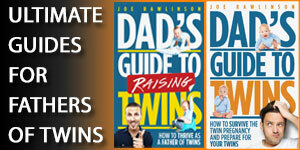 What have you found worked best in your twins’ schooling? Together or separate? Please share in the comments below. This is definitely a consult your twins issue–not a state issue. I’m an ID twin and my brother and I have written a book on what it’s really like to live in this world. The trouble with topics like this is simple–don’t ask your school to decide what class your twins are in. 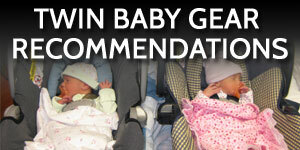 Ask your twins and rely on your own parental experience to evaluate their answer. Twins aren’t a social experiment or an educational theory–they’re your children so don’t let the state push an agenda on you. @Jerry – that’s wonderful perspective. Parents will know their twins better than anyone outside the home and can get their twins into the best possible environment for learning. Talking with your twins is key to making this decision. Here here it’s about time! I am also a twin and singletons should not be making decisions about whether or not to separate twins. Take this advice from a twin, ask your twins if they want to be in the same classes and then fight for what they want and need! @Amy – thanks for sharing your twin perspective! love your answer. My ID girls are 7 months old and daycare wants to seperate them. I am suffering from severe anxiety from that issue and them starting school in 2-3 years. Stand your ground. You know your children best. Do what you feel is best for YOUR children. I have two sets of B/G and all have been very different experiences. The first set were together through 3rd grade. After that my daughter went to a gifted school and they have done fine(they are now 20 and in college). My younger set are in 8th grade and are still together most of the time and it works for them. There is no cookie cutter method to twins. You will be settled in your heart if you make the best decision for your family. Good luck!! @ Tatayashi – As Tina said, you need to make the decision that is best for your twins and family. If your current daycare doesn’t want to support your wishes, perhaps you can find another daycare. My ID boys were very close and would rarely seek out other friends. Because of this, separating them turned out to be the best choice. They developed independence-something they really needed-and made other friends. I was lucky they were in a school that left the decision completely up to us. My boys are now 26 and will soon graduate as doctors! Very proud! @Meg – Thanks for sharing the experience with your boys. Congratulations on their success! @Muriel – Thanks for sharing your twins’ school experience. I think our girls are yearning for the chance to not be seen as “the twins” at school too.